FCAA’s mission and strategic plan are focused on expanding and strengthening the philanthropic response to HIV/AIDS. One of the core programming elements that enables FCAA to do that important work is our annual AIDS Philanthropy Summit. 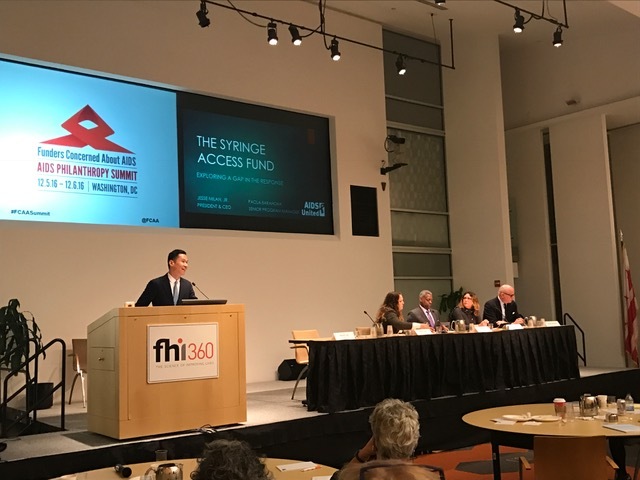 Since 2009, FCAA has convened 10 Summits to help share good practices and strategies to increase the amount and impact of philanthropic resources dedicated to ending the AIDS epidemic. The Summit also offers important space for networking and community building. 2019 Summit: October 28-29, 2019 D.C.
An archive of past Summits is also available.